Helios Gear Products (formerly Koepfer America) now exclusively offers the Helios Hera 90 CNC gear-hobbing machine from YG Tech for the North American market. This gear-cutting solution provides high technology features such as FANUC 0i-MF control and servo motors, direct drive hob and work spindles, Heidenhain linear scale on X-axis for precise repeatable control of size, and more. Gear manufacturers will appreciate this hobbing machine for its unique combination of technical capabilities, market-beating price, and proven domestic support. 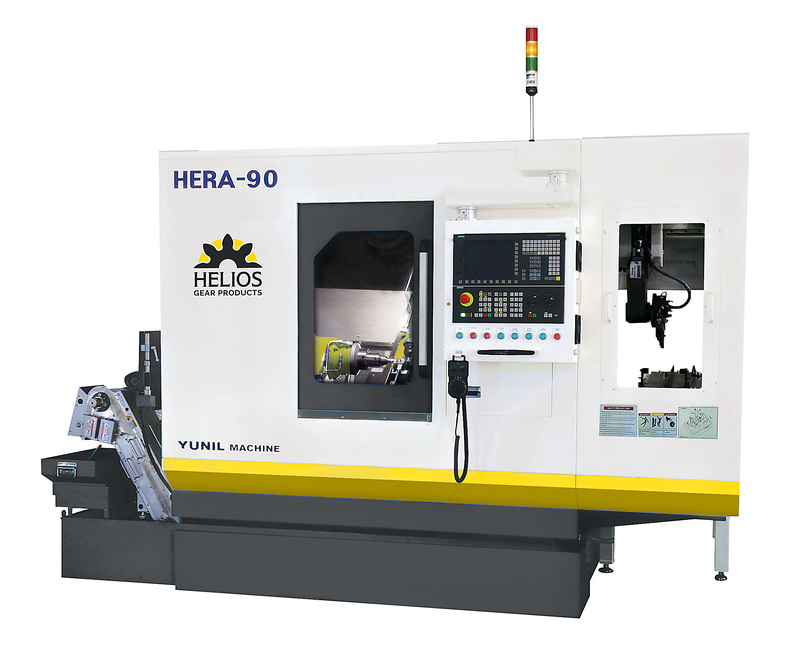 The Hera 90 offers key features, such as 8.5 DP (3 mn) pitch rating, 6,000 rpm maximum hob speed, and up to 8 CNC axes. When equipped with the optional gantry loading and unloading system, the Hera 90 capably and productively hobs a variety of gear types. Workpieces up to 12.600” (320 mm) in length can be manually loaded, or 7.874” (200 mm) length automatically loaded. Centerline distance between cutter and work spindles moves between 0.394” (10 mm) and 3.937” (100 mm), providing the capacity for a wide range of gear sizes. With a 6.300” (160 mm) hob shift, job shops and end-product gear manufacturers should consider this machine’s productive mix of flexibility and capability in a small footprint. Several standard capabilities are available via the Hera 90’s dialogue programming: one and multiple gears on a single workpiece; multiple-cut cycles; any combination of radial, axial, climb, or conventional hobbing; crowning (lead modification); automatic shifting over a broken hob section; CNC hob shifting; and burr-free hobbing using two equal hobs. Straight bevel gears can also be cut by index milling or generating cutting via the Conikron method. 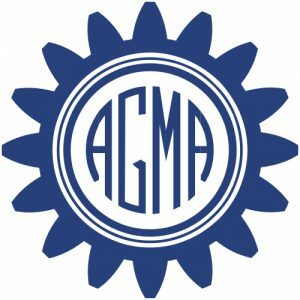 “In today’s globally competitive market, gear manufacturers need a cost-effective, highly capable, yet versatile hobbing solution for fine-pitch gearing. The Helios Hera 90 fills this role like nothing else on that market,” said David Harroun, sales manager of Helios Gear Products. Construction features of the Hera 90 prove strong fundamentals of engineering and design. The machine uses direct-drive torque motors. A cast-iron machine base provides optimum stability and dampening of cutting forces. The machine’s slant bed design uses gravity to efficiently remove chips during the cutting process. Automatic X-axis (radial hob head position) retract at power failure ensures the safety of tooling during electrical loss. Total machine enclosure includes world-standard safety equipment such as electro-mechanical interlock and front splashguard doors. The Hera brand is owned by YG Tech Co., Ltd., who has been building hobbing machines for more than 50 years. The Hera series began development in 2004 and today comprises hundreds of installations worldwide including North America, the European Union, Asia, and South America. Helios is the new North American sales and technical support organization for the Hera line. The Helios company offers more than 30 years of expertise in supplying machines, tools, and engineering solutions to gear manufacturers and brings a proven sales record with technical support.